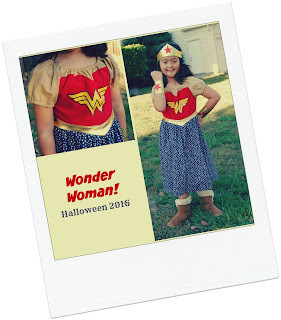 Lil' Miss decided that she wanted to dress up as Wonder Woman, this year! 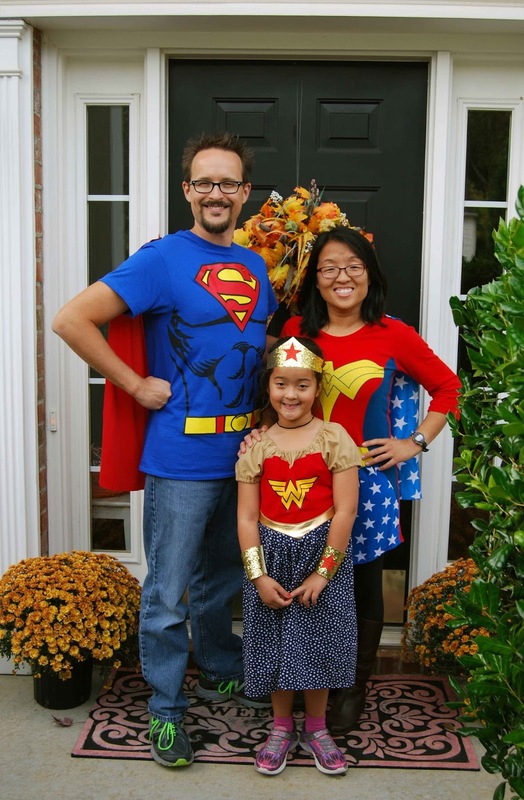 Not quite sure how she settled on this costume as she's never really seen the cartoons/comics. No worries, though, this was an easy costume for me to sew up because I had the perfect PDF sewing pattern to use- Made for Mermaids Everyday Princess, Jasmine (as Wonder Woman)! Our SUPER WONDERful little family! 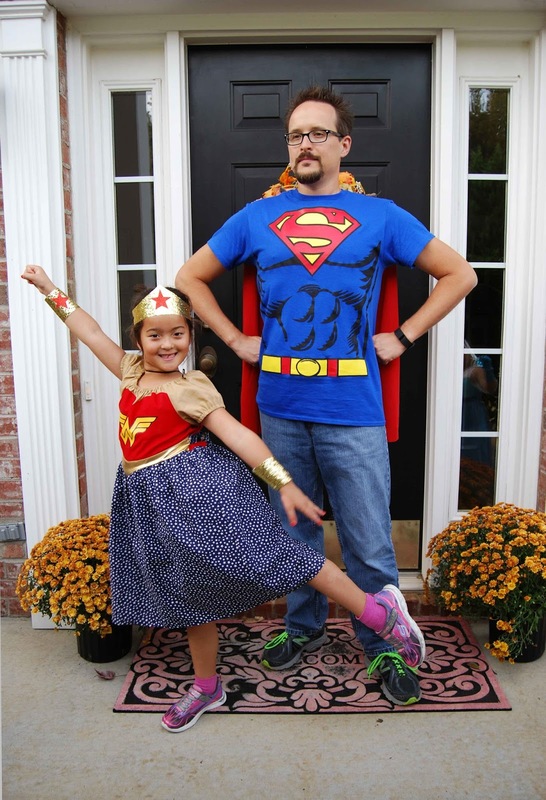 It's a bird, it's a plane, no, it's SUPER DAD and WONDER KATY! While Ted and I were in the office filing paperwork this afternoon, Katy called from the kitchen where she had been painting. Ted went to see what the "emergency" was. Failing to see a problem with the pumpkin painting Katy had been diligently working on, Ted complimented her on her artwork. Without preamble, Katy declared, 'This isn't a masterpiece! It's a DISASTERpiece!!!" Ahh....the life of an artist.... we just about died of laughter!! It's no secret that my six and a half year old Lil' Miss is something of a veg-a-phobe. She's a great, adventurous eater- she'll try just about anything off of our plates! However, she just prefers anything BUT leafy greens come dinner time (don't we all??!!)! While she's gotten better as she's gotten older (Or, perhaps she's just resigned to the fact that Mom is always going to require veggies?) I'm always looking for ways to get more real nutrients into her. 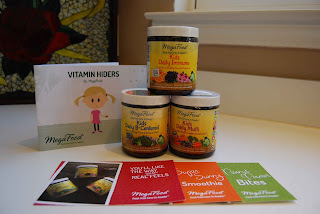 So, when Moms Meet asked me to review Fresh from Farm to Powder Megafood, I was all in! What is Fresh from Farm to Powder Megafood? (from their promotional information) "Fresh from Farm to Powder™, MegaFood is as real as it gets. Since 1973, MegaFood has been committed to making products that use real food from family-owned farms to make a real difference, and has produced some of the most effective and award-winning supplements available today. A pioneer in the natural products industry, MegaFood was one of the first companies to make their FoodState® vitamin and minerals from scratch starting with farm fresh whole foods. MegaFood continues to innovate by manufacturing more than 36 individual FoodState Nutrients™ using their proprietary Slo-Food Process™, all in their own facility in New Hampshire." 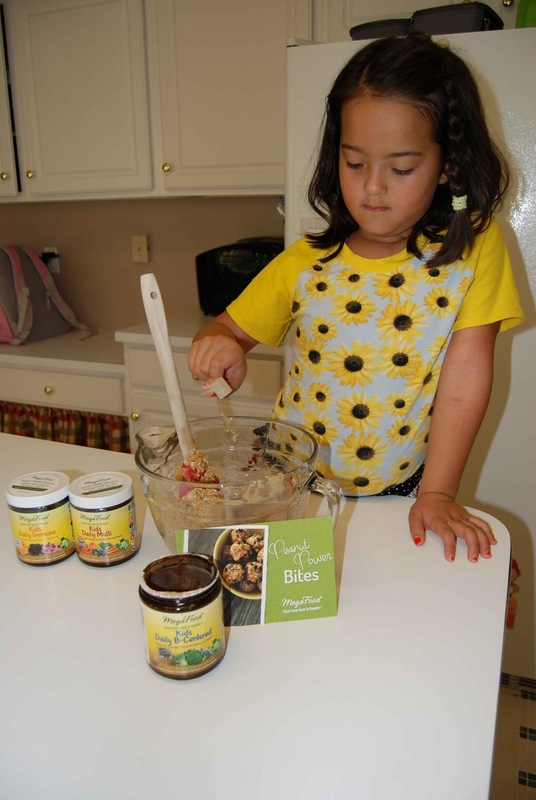 Kids Daily B-Centered: Kids Daily B-Centered featuring Lundberg Family Farms organic brown rice, provides daily support for mental focus, cognitive function, and a sense of calmness.. Formulated with a full spectrum of FoodState® B Vitamins, this blend supports healthy mental and physical energy levels. First of all, and from a purely asthetic point of view, I love that the Fresh from Farm to Powder Megafood come in real glass jars. The glass perfectly fits with the organic, reduce, reuse, recycle lifestyle. Each glass jar is contains proprietary powder and a small scoop. 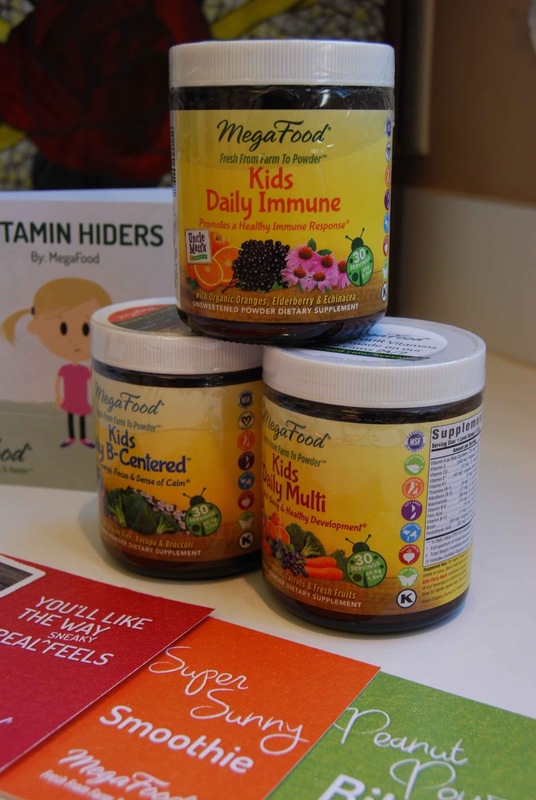 As a mom, I love that Fresh from Farm to Powder Megafood contains real ingredients; such as tumeric! You can watch them harvesting ingredients for Fresh from Farm to Powder Megafood here. I love that there are no added sugers, sweeteners or preservatives in the Fresh from Farm to Powder Megafood. So many of the main-stream children's (and adult!) multivitamins out there are full of added sugar! Plus, Fresh from Farm to Powder Megafood is gentle on the stomach and easy to digest- even on little one's empty stomach. Fresh from Farm to Powder Megafood is gluten free, vegetarian, pesticide free, soy free, dairy free, non-gmo and certified Kosher. Whew! That's a win for any diet! 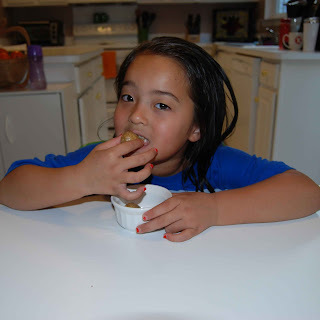 For the sake of this blog post, we decided to make some Peanut Power Bites using Kids Daily B-Centered Nutrient Booster Powder. The recipe is found here. 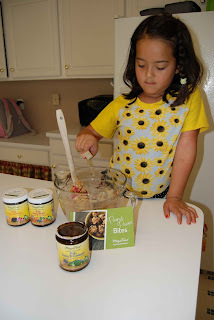 Lil' Miss was my willing sous chef! She helped me gather ingredients (chocolate chips are missing in the above picture). In the end, Lil' Miss couldn't wait to taste her Peanut Power Bites using Kids Daily B-Centered Nutrient Booster Powder creation! I'm happy to report that she LOVED them! They were sweet (honey) and easy to make and eat. 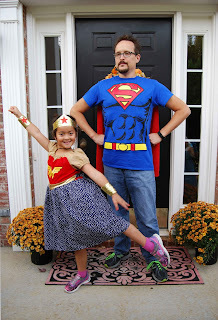 There were no complaints- that's a #momwin in my book! 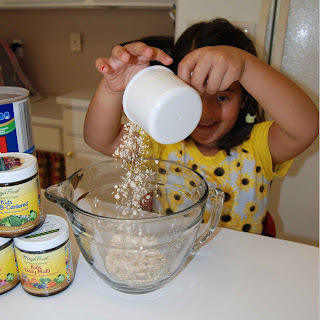 The Peanut Power Bites using Kids Daily B-Centered Nutrient Booster Powder will definitely be put into our usual weekday breakfast rotation. 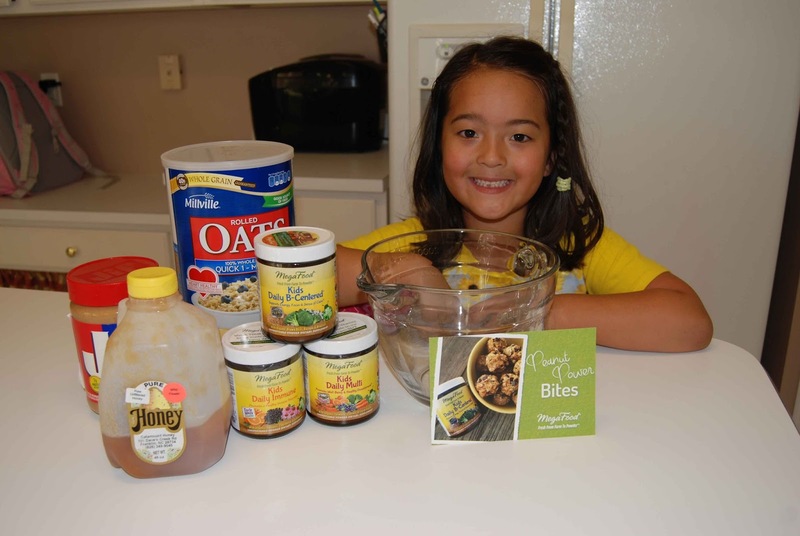 We're always looking for quick, nutritious grab-and-go food for school days! 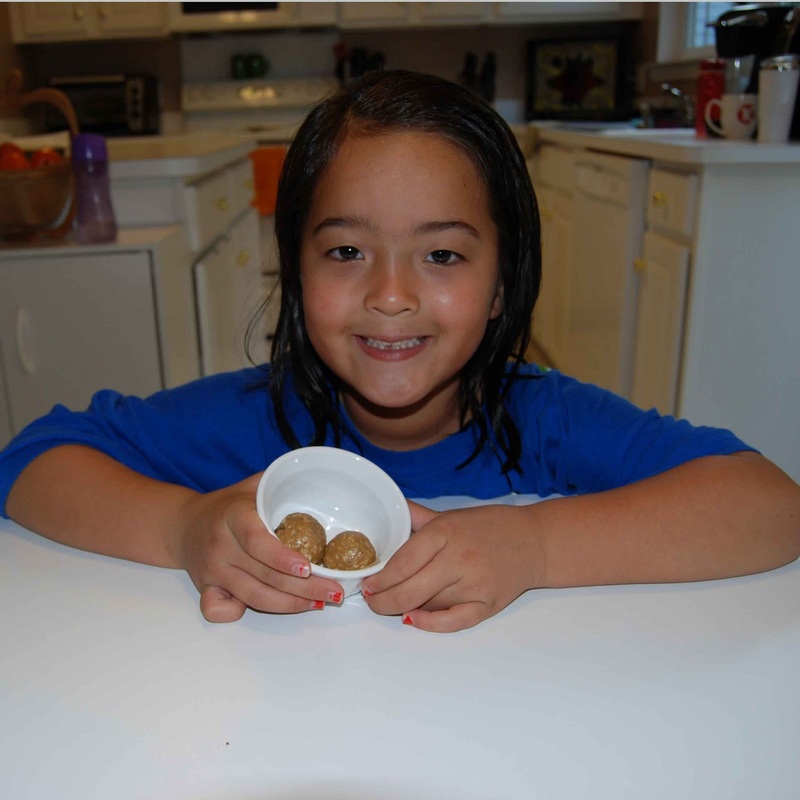 Yummy Peanut Power Bites using Kids Daily B-Centered Nutrient Booster Powder! In conclusion, I love that Fresh from Farm to Powder Megafood includes good-for-you nutrients. It's easy to use and incorporate into everyday foods and drinks. With it's non-gmo ingredients and commitment to supporting other farmers and organic companies, I feel confidant about using Fresh from Farm to Powder Megafood and serving it to my family. I believe Fresh from Farm to Powder Megafood is a great addition to my daughter's overall health. Want to connect with Megafood?